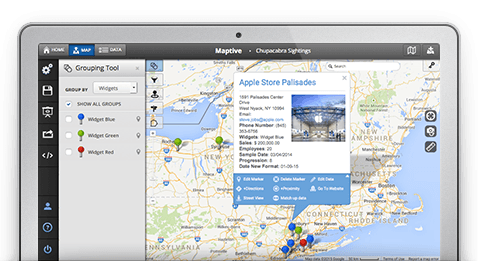 Our mapping software helps you transform your spreadsheet data into a customized Google Map in seconds. Simply sign up, load your location-based data, and we will do the rest. 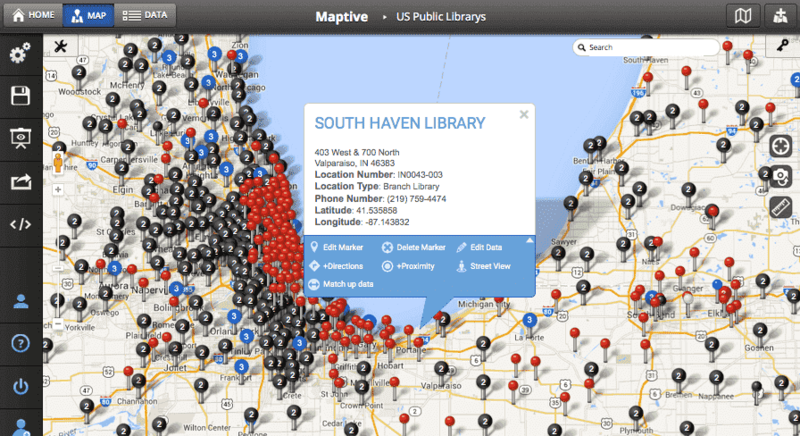 Once your data is mapped, there are hundreds of ways to customize your map and find the answers you are looking for. 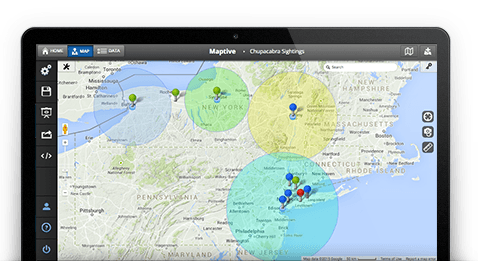 Whether you need a free map or an enterprise level mapping solution, Maptive has software that will work for you. Create Your Free Map Now! Our Google Maps Foundation and API allows our user to keep maps updated automatically and in real-time by syncing them to your data sources. 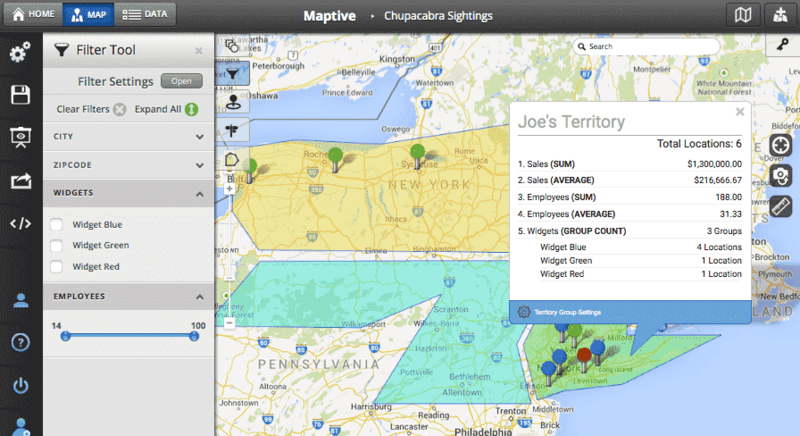 Use Maptive to create territories that make sense and improve the profitability of your business. Make territories based on travel time, customer size, number of clients, yearly income, and more. 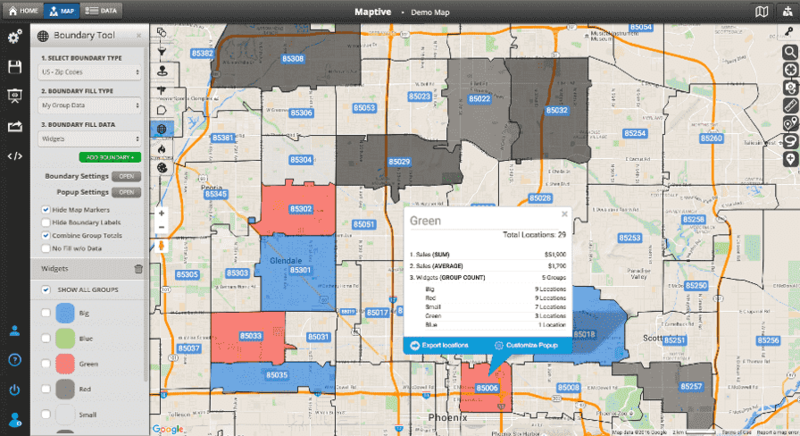 Customize territories by fill color, boundary color, opacity, and boundary width. 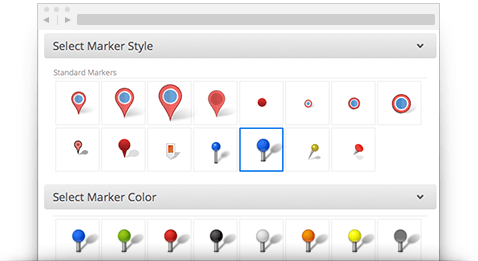 Precision level control makes it easy to filter data and show only what you want to see on the map you create and customize. 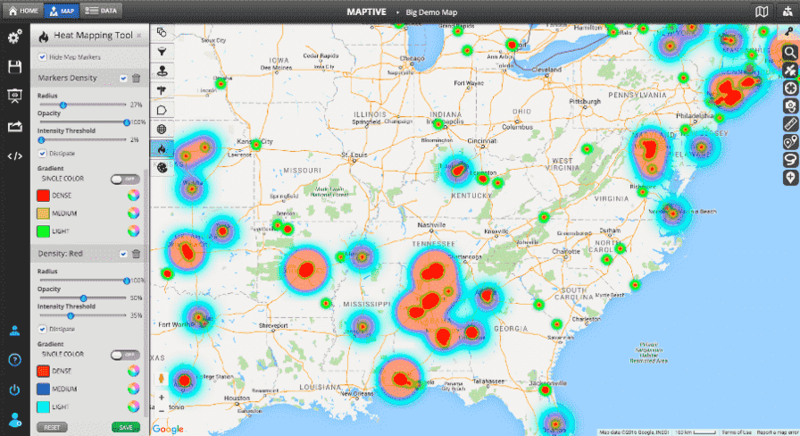 Filtering allows your data points to be viewed at multiple layers of granularity on a single map. 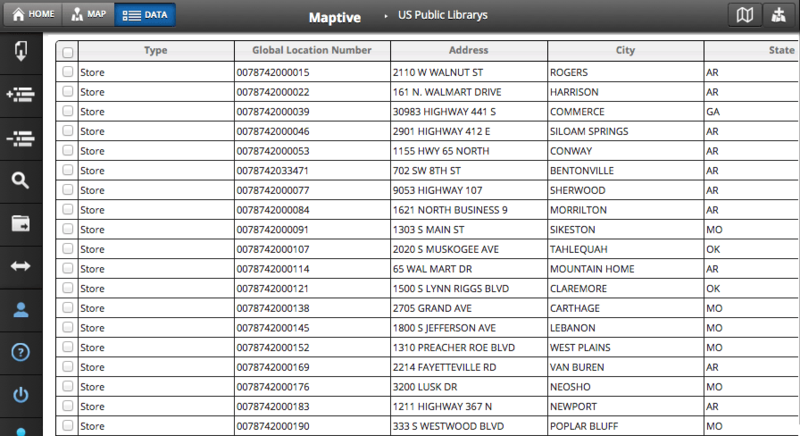 Select any of your data columns and Maptive will assign unique marker colors to each location type. 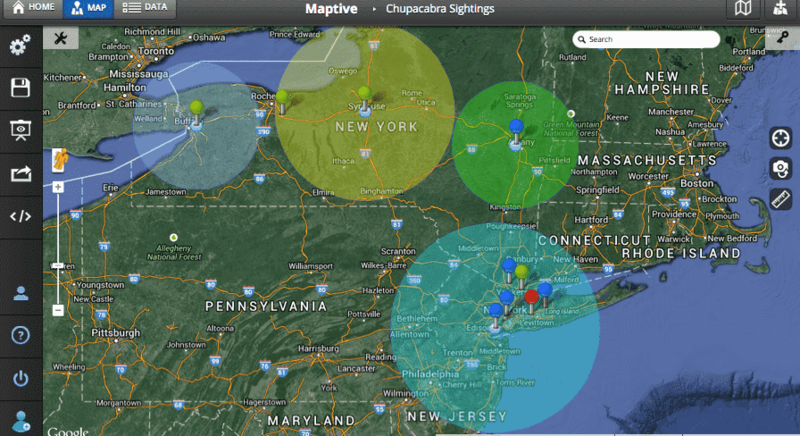 In addition, Maptive will create a map legend with clickable location types that allow you to see only what you need. The Radius and Proximity Tool allows you to draw a radius circle or drive time polygons in miles or kilometers from any of your locations in order to quickly determine distances. 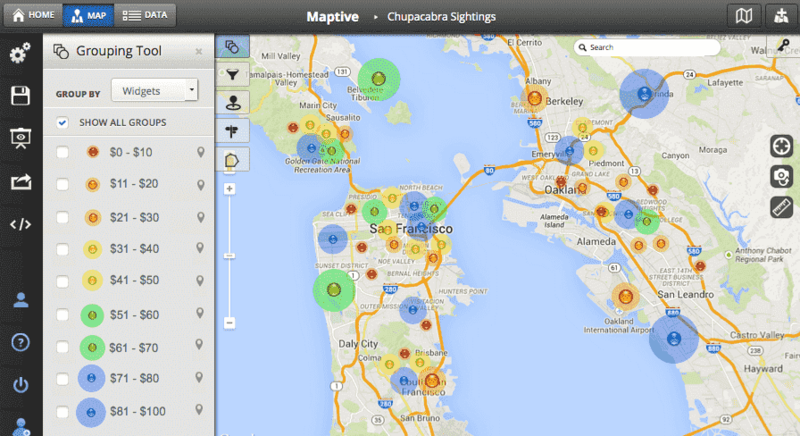 This tool makes it easy to quickly run a proximity analysis on a segment of your location data. 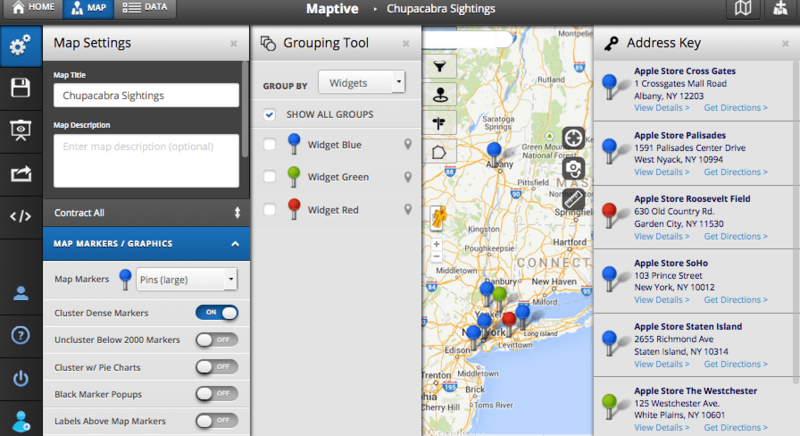 Maptive makes it easier than ever to customize and label markers for your unique business or organizational needs. 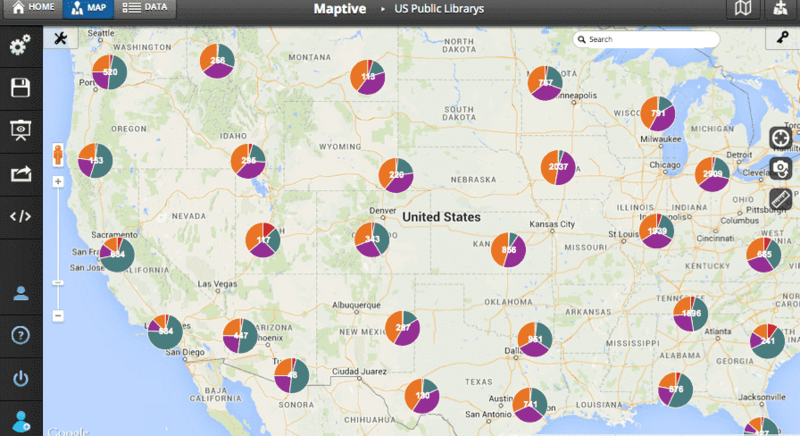 Choose from our extensive library of markers, or upload your own. Share your maps in a couple of clicks, create custom presentations with multiple map views, and print your customized Google map as big as a 2048 x 2048 pixel poster. 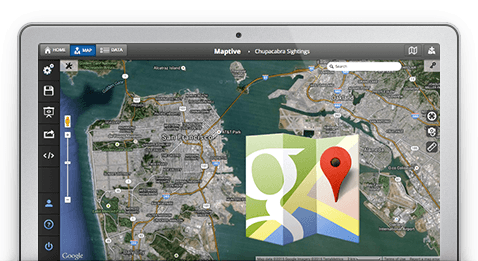 Help people navigate from one location to another by providing driving directions in your customized Google map made with Maptive software. 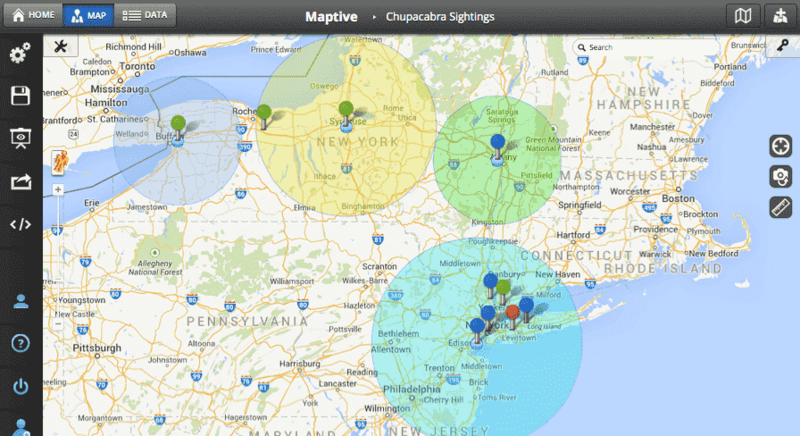 Map the most efficient route between multiple locations. 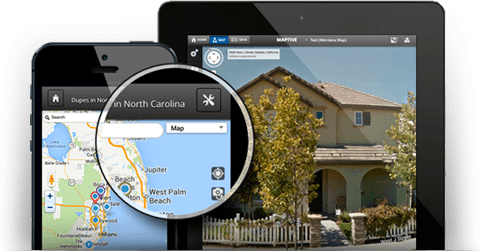 Pair this feature with the Proximity tool to show nearby points from any specified location. Plan a route to any map marker that you’ve loaded into your map, or any custom location that you manually type into the start or end location window. Trying to extract meaning from a massive spreadsheet can be like finding a needle in a haystack. 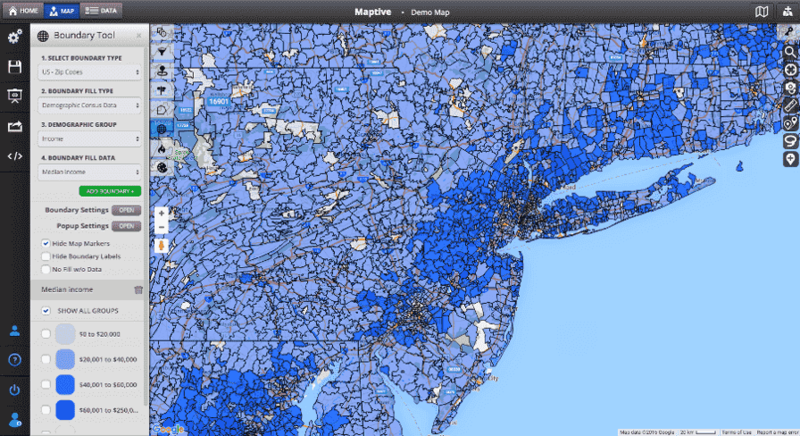 The ability to visually see your data on a map and work with it in real time is the best way to spot trends, gain insight, recognize opportunities and identify problems that would otherwise be lost in a big unwieldy data set. 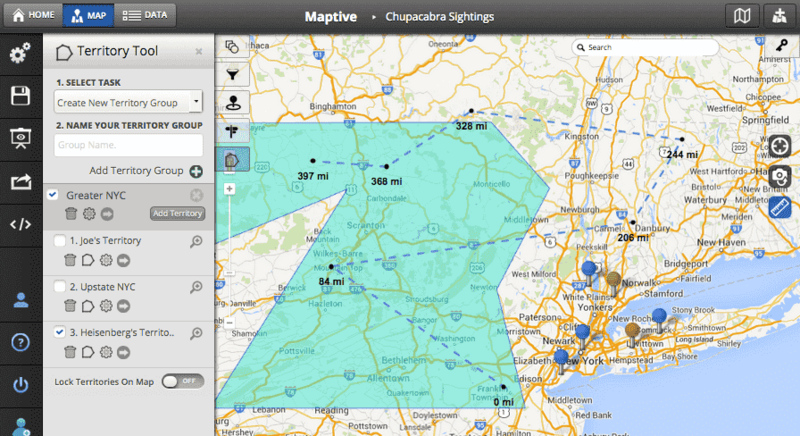 Maptive will create a custom Google map using your data from any spreadsheet or address list faster than a roadrunner on Red Bull. Our software is FREE, powerful and easy for all users.